WP Subscribe is a simple but powerful subscription plugin which supports MailChimp, Aweber and Campaign Monitor. If you aren’t building an email list, you’re missing out on the most powerful and consistent way to drive repeat visitors and customers to your website or blog. With an email list, you become less and less dependent on external sources of traffic, and gain more ability to interact with your blog’s audience. Options to change text showing in subscription box. 1. Download the plugin file, unzip and place it in your wp-content/plugins/ folder. You can alternatively upload it via the WordPress plugin backend. 3. 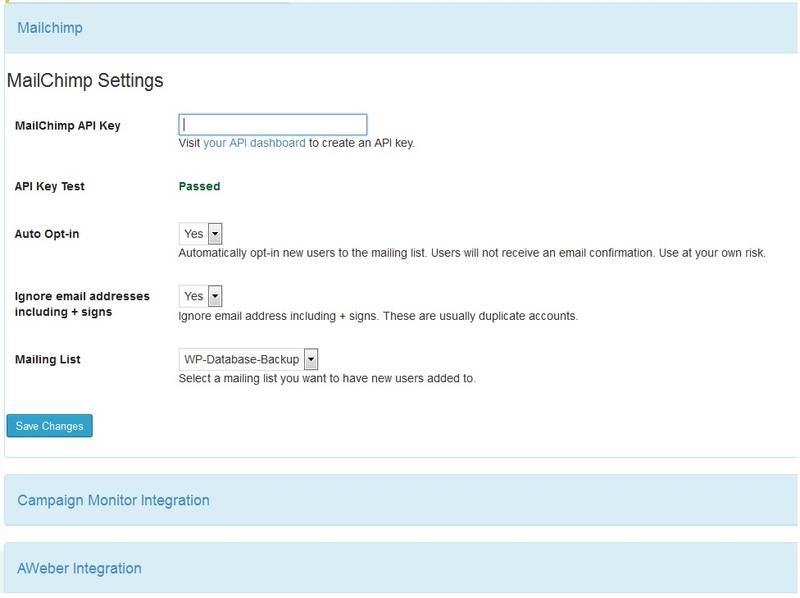 WP Database Backup menu will appear in Dashboard->WP Subscription. Click on it & get started to use. 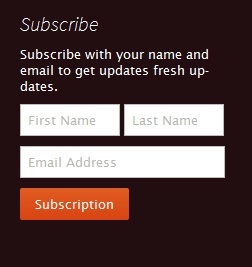 -Go to Dashboard->Apperance->Widgets->add ‘WP Subscription’ widget in to widget area. Enter title. If you want to assign category to new subscriber then enter category number separated by comma in category ID input box. 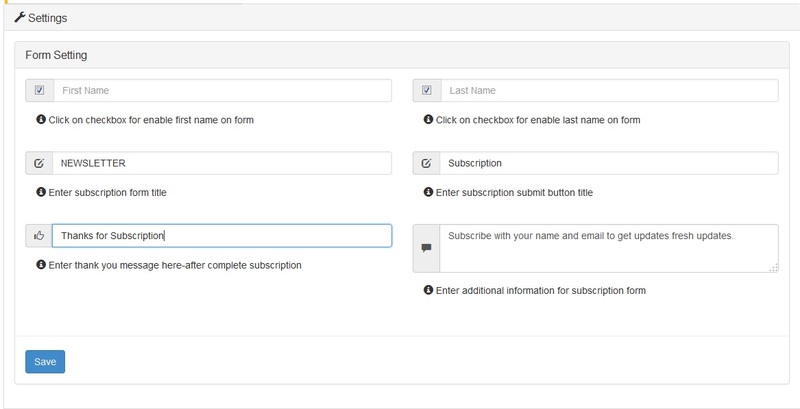 use wp_subscription shortcode for display subscription form on your page/post. If you want to assign category to new subscriber then add attribute ‘category’ and assign value as category number separated by comma. How to get category ID for shortcode? How to add new Category?